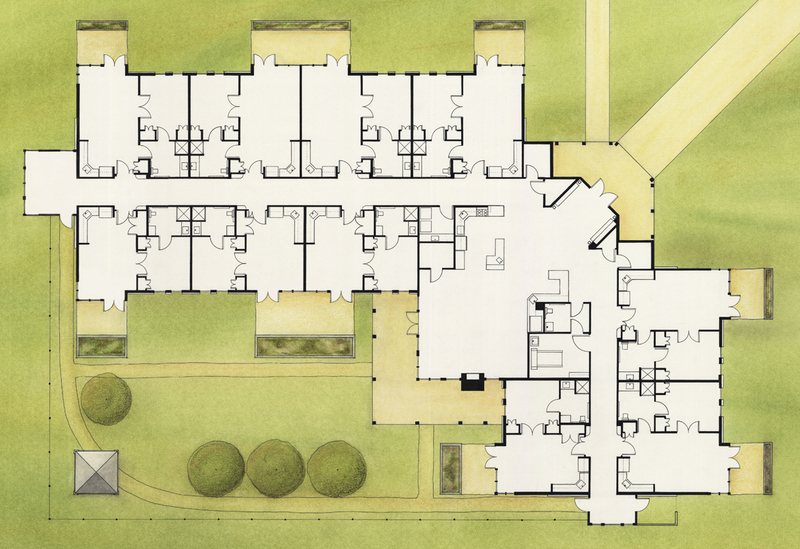 Specialized assisted living buildings for couples, those with dementia, hospice care, and light needs are included in a campus setting with a central therapy and Spiritual Aging and Wellness Building. Adjacent to the client’s existing campus of skilled and assisted living housing, this lush and wooded site is intended to complete and enrich the client’s service offerings well into the future. 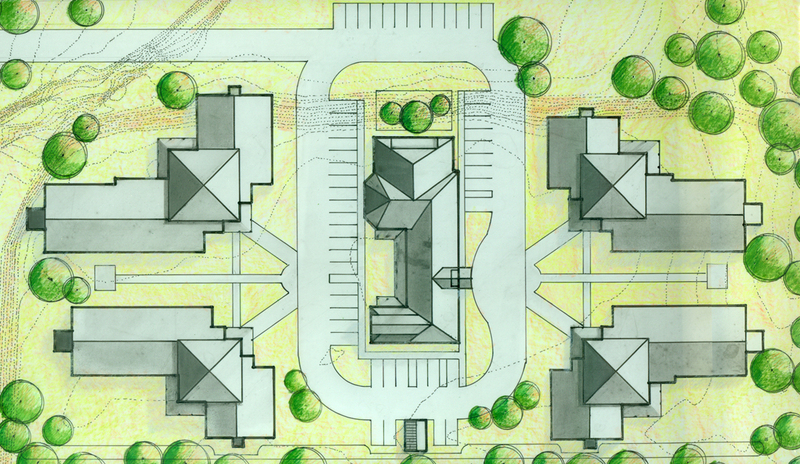 Four separate “Houses” for each specialty, three serving 10 and one serving 20 residents (Couples House) are arranged along a pedestrian street and form a Town Square around the central Spiritual Aging and Wellness Building. 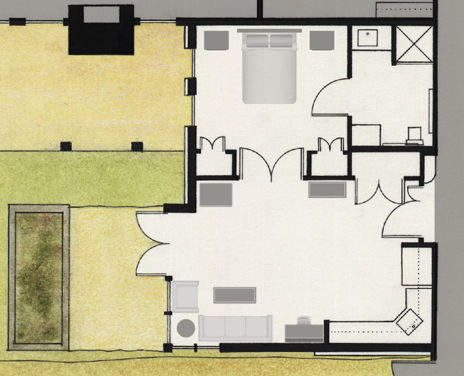 Each House includes a central great room with shared living, dining, residential kitchen and porch. Apartments include vaulted living rooms with French doors opening to a private patio/garden, and range from large studios (Hospice and Dementia Houses only) to 1 and 2 bedroom units. The Wellness Center includes a chapel, therapy rooms, indoor pool, classrooms, gym, and central hearth room.